(c) To develop in the Nigerian youths the attitudes of mind, acquired through shared experience and suitable training, which will make them more amenable to mobilization in the national interest. 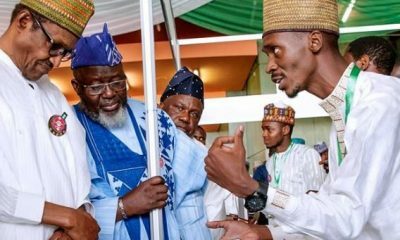 These objectives, although subsisting within the framework of a scheme that is youth-focused, are primarily aimed at healing the deep gashes that the civil war had left behind in different parts of Nigeria, and promoting national unity and integration. While this is a very laudable scheme with many success stories feathering its cap, there are serious fundamental issues, in my opinion, that must needs be confronted for the scheme to well and truly achieve its set objectives without leaving the majority of its target audience behind. 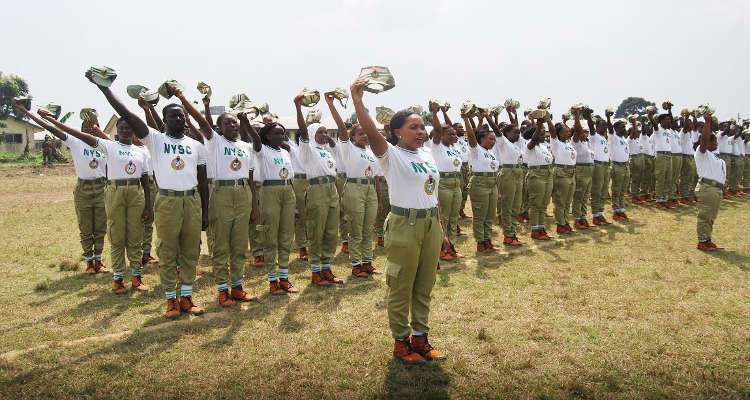 Perching threateningly at the nucleus of the NYSC scheme, however, is a surreal monster of discrimination, or depending on your outlook – a case of terrible oversight. And to knock this threat off its perch, we certainly need to confront the unnecessary baggage accompanying it. 29 years old Oluwole Ayodeji, the first child and first son in a family of six, is a perfect exemplification for capturing the structural disenfranchisement, or oversight as the case may be, that exists within the NYSC framework. Bred by a single parent who had to endure the social, economic and psychological aches and pains that always accompany the torturous life of a woman who has been abandoned by an irresponsible husband to play the role of a father and mother at the same time; Ayodeji laboured greatly, alongside his mother, by occasionally taking up different menial jobs, to complete Secondary School education at the age of 18. His dream, like any other teenager, was to seek admission in one of the well-respected Universities in the country to study Mechanical Engineering; and that once he graduates, he would be able to acquire a decent job to improve his and his family’s living condition. But Nigeria had other plans for him. Due to the numerous encumbrances entrenched in the process of getting admission into a Nigerian University, Ayodeji spent six long years at home doing different menial jobs before eventually getting admission into one of Nigeria’s foremost polytechnics. During the six-year period that Ayodeji sought admission for, his ever-increasing frustration led him to find solace in different social vices including political thuggery, cybercrime, pickpocketing and unbridled philandering. Although he engaged in these social vices intermittently, Ayodeji was also, within the six-year waiting period, a street-sweeper, a cleaner, and a floater – at different intervals. By the time he eventually got admission into a famous Polytechnic in Lagos at the age of 24, he was, to a considerable degree, emotionally and psychologically damaged. Although damaged, Ayodeji, for the sake of his struggling family; his ageing mother and fast-growing siblings, managed to obtain an Ordinary National Diploma (OND) at the Polytechnic before again pausing his education due to lack of funds and good-paying jobs. He has, since then, for the past three years, been living on the fringes playing Jack-of-all-trades, master of many, while at the same time shouldering the responsibility of catering for his family, alongside his mother. Unfortunately, within the last three years of his life, despite his OND certificate, he has been unable to live above subsistence level, like always. Ayodeji will be 30 years old in a year’s time, yet, he has no hope of serving his fatherland because Section 2 (2) of the NYSC Act prevents him from doing so. Also, as is clearly captured in Section 2 (1) of the NYSC Act, only University graduates and HND and NCE certificate holders can participate in the NYSC scheme. Not only is this clause segregational but it is also noxious to our country’s future. My argument, therefore, is that we need to review some fundamental clauses in the NYSC Act. 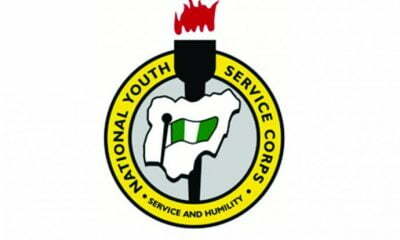 For why should we call it a National Youth Service Corps (NYSC) scheme when it is, in actuality, a National Graduates Service Corps scheme (NGSC)? Also, why should we exclude OND Certificate holders and Secondary School Certificate holders when the central focus of the scheme is the youth? Also, why should we limit the scope of youths to be captured in this scheme when the goal is to educate and build the capacities of Nigerian youths towards a brighter future for our country? Like Ayodeji, there are millions of Nigerian youths who are presently segregated against and invariably excluded from participating in the NYSC scheme, either because they are yet to gain admission into the higher institution and only have their Secondary School Certificate, or they are yet to complete their Polytechnic education due to lack of funds. 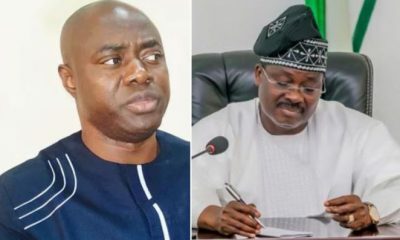 There are, also, those who would be unable to serve their fatherland because they would have to repeat a class in their University, or because their Vice Chancellors, lecturers, and other sexual predators in higher institutions would be the behemoth to stand against their graduation and the eventual call-up for National Service. (a). Considering the objectives of the NYSC scheme which directly reflects the national ethics, values and aspirations of our country, it is important that we downgrade the standard for eligible candidates for the scheme to include both OND certificate holders and Secondary School Certificate holders. From the perspective of public education and building future heroes for our country, there is no better time to impress the consciousness of nationalism in the minds of the youths than during their teenage years and their early 20s. This scheme is, ergo, a good opportunity to educate Nigerian youths – from the secondary education level to the tertiary education level – on the national ethics of our country; as enumerated in Section 23 of the CFRN. In addition, youth unemployment in Nigeria is presently above 33%. This is an omen for a terrible disaster, specifically the potential increase in social vices and crime. We can, without any ado, enumerate different kinds of crime and acts of terror currently bedevilling our country and spearheaded by the youths. Many among these perpetrators of criminal offences are the extreme examples of the evil consequences of youth unemployment in our country. For it is an axiom that an idle mind is a breeding ground for evil thoughts. Also, the degree of extreme poverty in Nigeria presently is staggering. About 86.9 Million Nigerians are currently living in extreme poverty. That is nearly half of our country’s 200Million population. This is an omen for monumental increase in youth criminality and social vices. 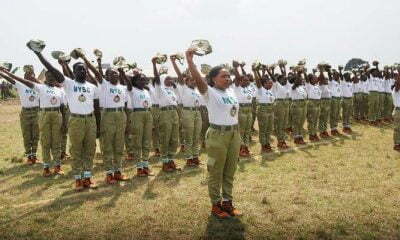 It is only wise, that in the best interest of our country, the youths are kept busy with a worthwhile endeavour like the NYSC scheme, from the post-secondary education level to the higher institutions, than be abandoned to fritter away their energy on dishonourable endeavours with terrible consequences for the country. (b). 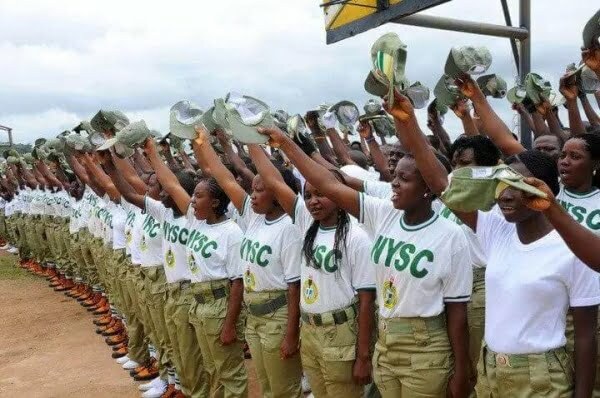 That there be no restrictions for Nigerian youths who are 18years old and below 30 years old; to participate in the National Youth Service Corps scheme between their time of completing Secondary School education and their graduation from the higher institution. For instance, during the period of seeking admission, applicants who fail to obtain admission into any school after writing the Jamb exam in a particular year have to wait for another year to get such opportunity again. Youths within this category should be allowed to participate in the NYSC scheme while waiting for the subsequent year to get another Jamb form. By keeping busy through acquiring the requisite experience for the labour market and learning about our country’s values and aspirations, youths in this category would, rather than be reduced to a state of nothingness or tempted to commit crime, be encouraged to develop the spirit of self-reliance, patriotism, industry, loyalty to country, religious and ethnic tolerance and also imbibe the consciousness of nationalism through the NYSC scheme. 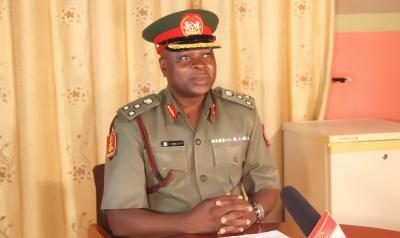 For those within this category, who further fail to obtain admission into any higher institution after the completion of their NYSC, they should be provided access to a low-level employment in any ministry, agency, or private company through a collaboration between the National Directorate of the NYSC and the private sector, to work on projects or undertakings which they were devoted to during their service year as captured under Section 9 (2) of the NYSC Act. This would contribute massively, I believe, to building our national economy, promoting unity and integration, reducing youth unemployment, reducing youth crime and building the capacity of Nigerian youths. 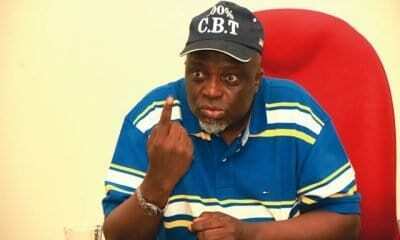 Adebayo Raphael is the National Secretary of the OurMumuDonDo Movement and he writes from Abuja. He can be reached via @Asorosobioro on Twitter.